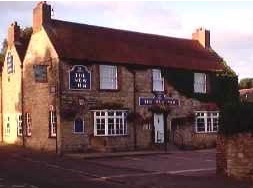 Like most pubs which have “New” in the title, the New Inn is actually old – over 200 years and pre-dates the town of New Bradwell. It was built as a canalside hostelry in 1804 to serve the bargees on the Grand Junction Canal, which itself had only been operational since 1790. It is a stone rubble-built building with thick walls. It is not always easy to come up with a detailed history of an old building but since I lived there between 1958 and 1963 when my father was the landlord there, I can probably piece together the development of the building. The building today shows three gables, but I suspect the original structure had two – the stone-built part of the Inn. The walls were (are) very thick and this helped to retain warmth in winter and keep the place cool in summer. Downstairs there were four rooms with a central stairway leading to five bedrooms. Two rooms on the street side filled the public bar function as they still do to this day. The two rooms on the west side were probably living quarters for the landlord. A bill for its sale in 1828 boasts “a large and commodious wharf, Stables for 30 horses, Corn Granaries, Coke and Salt Houses, Pigsties, Brewhouse, Wash-house, other detached Offices and a large garden.” The house had a “spacious Kitchen, Bar, large Dining-room, Back Kitchen with pump and a good Well of water.” There was cellarage for 100 Hogsheads, which seems an optimistic amount of beer to consume in a week. The “offices” was a contemporary euphemism what we would now describe as toilets. The brick addition to the south, which is shown as having a barn door in this 1920s photograph was probably a late nineteenth century addition. When we arrived in 1958 it housed a Gents toilet on the street side and a Ladies toilet on the west side with an open courtyard in between. Upstairs was a large room which could be reached by an outside stair flight on the west side, or internally from the residential part. This was known as the “Club Room” and it extended into the former back bedroom area. In 1958 this part was derelict. The roof had been leaking for many years and the floorboards were rotten. At my father’s insistence the roof was repaired and a new floor laid. Thereafter it was used for Bingos run by the New Bradwell St Peter’s Football Club and various wedding functions and parties. Some time after we left it was converted into a restaurant. Up to 1958 the pub entrance was on the street side, but my father closed this off to open up the bar a little bit and cut out the draughts. The canal side entrance then served as an entrance to the Public Bar and the Lounge Bar. As I have already mentioned the New Inn was built to accommodate the bargees on what was once a busy commercial waterway. There was no “New Bradwell” in 1804 and local inhabitants would have been few. The 1841 Census lists several publicans in Bradwell but is a bit vague about which pub was occupied by whom. In the mid century the pub was operated by William and Hannah Millward, he from Birmingham, she from Cheshire. Their lodgers on March 30th 1851 were two acting families whom I have described in The Comedians, The other half of this acting troupe stayed at the Radcliffe Arms on this night. In 1861 there are seven lodgers recorded, all male and presumably sharing room. Most of them are railway employees but one, James Heritage, was an itinerant bookseller. By 1871 Millward’s son Daniel is running the place so the Millward family were fixtures there for about 30 years. Daniel Millward continued his career at the Railway Tavern on Glyn Street. One puzzling element in what I assume is a long period of Millward tenancy is a minute I discovered in the minute books of the L&NWR Works, Construction and Estates Committee for 1854. That the terms and conditions of proposed tenancy of New Inn at Bradwell by Mr J. Smith, be reported to the committee before being finally concluded. I have not found any record of the railway company acquiring the New Inn, although that does not mean that they did not, but this minute makes little sense in view of the apparently uninterrupted tenancy of the Millwards. I can only conclude that the reference to “New Inn’ is not “The New Inn” but rather the new building on Glyn Street which was subsequently named the Railway Tavern. It is noticeable that guests and lodgers at the New Inn start to drop off after 1871. A number of cottages had grown up beside the wharf in the previous decade and New Bradwell itself was growing. One might guess that there was sufficient local pub trade to provide a living, As if to confirm this view, there is only the Tooth family living there in 1881. Tooth stayed there for about twenty years and practised as a butcher on the side. I wonder if the addition described above was constructed in these years. This would have given him room to hang meat. By 1901 the pub is down to a 70 year old widow Sarah Radbone and her 40 year old daughter. The club room is let out to a family and there are two New Inn Cottages that appear on the Census. I don’t know where these were located but clearly there was no evidence of them 50 years later. In 1864 the short branch line from Wolverton to Newport Pagnell was completed and The New Inn became popular amongst the navvies working nearby. It is said that the pub was nicknamed the “War Office” on account of the number of fights that broke out there. It was certainly not that way in the 1950s but as a Public House it only delivered a part-time income. Some regular cutomers came up the hill and some down from the Bradwell Road, but New Bradwell was well supplied with pubs in those days. 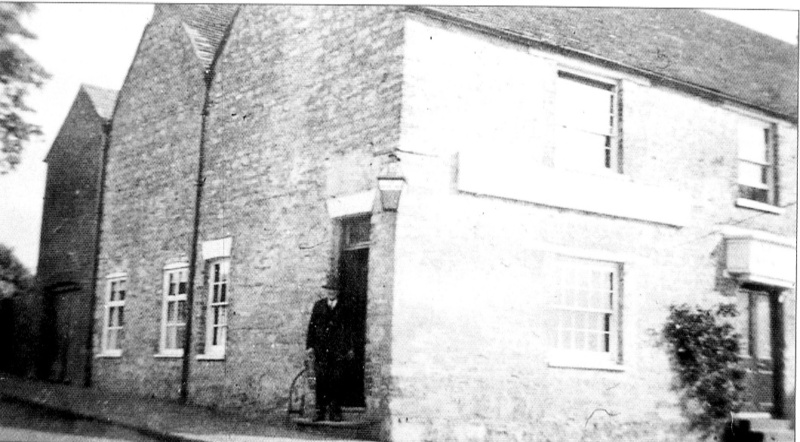 The pub then, as now, was owned by Charles Wells Brewery at Bedford. There was not a lot of choice. You could either buy Bitter or Mild on draught and some bottled ales – Light Ale Brown Ale, IPA, Strong Ale and Guinness. In the way of spirits, Scotch Whiskey and Gin were staples and there was some demand for Rum and Vodka, often mixed with tomato juice, orange juice or lime cordial was entering a phase of popularity. Typically men only used the Public Bar and on Saturday and Sunday the men would bring their wives and girlfriends to the Lounge bar. 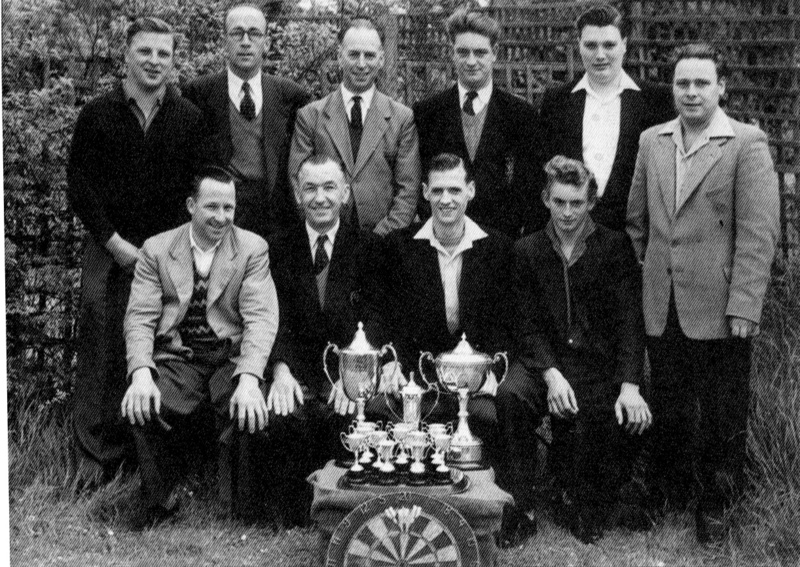 This was the very successful New Inn darts team of 1959/60. The pub darts league ran every Monday night and was very popular. Goodman’s scrap yard was opposite and the Goodman brothers also rented some of the New Inn land. The frontage to the canal was overgrown. Barge traffic was rare and leisure craft had barely started. The concept of a pub as a place to go for a sit down meal had yet to be invented. Today The New Inn looks a lot prettier. Bay windows have replaced the old sash windows and the interior has been much modernised. There is now a lawn sloping down to the canal.